A “collective of some of the brightest young classical musicians in the world..." (TimeOutNY), Decoda is dedicated to creating dynamic performances and creative projects designed for social impact. Decoda’s pursuits place equal emphasis on artistry and engagement to create meaningful musical experiences around the globe through concerts in major international venues and neighborhood projects with vibrant community partners. At home in New York City, Decoda works with partner organizations such as WQXR, the Police Athletic League, NYPD, and NYC Administration for Children’s Services to engage a diverse cross-section of the city through creative songwriting workshops and interactive performances that promote collaboration and compassion. Music for Transformation, Decoda’s social justice initiative, empowers vulnerable and disenfranchised voices of incarcerated individuals and has been recognized by CNN, Huffington Post, the Associated Press, the Washington Post, and Billboard Magazine. Other ongoing programs such as the annual Decoda Skidmore Chamber Music Institute and residencies at the Royal Academy of Scotland and Guildhall School of Music and Drama in London as Resident Ensemble of Creative Performance serve to expand the global community of audience-centric performers and to create a ripple effect of deep engagement through music around the world. As the Affiliate Ensemble of Carnegie Hall, Decoda’s activities are anchored in creating compelling performances. In the 2018-19 season, Decoda debuts include two concerts presented by Carnegie Hall and a first appearance at the Los Angeles County Museum of Art. Decoda’s past engagements included performances at the Southbank Centre and the Barbican (London), Festspiele Mecklenburg-Vorpommern (Germany), Abu Dhabi Music & Arts Festival (UAE), Mainly Mozart Festival (San Diego), Bay Chamber Concerts (Maine), Við Djúpið Festival (Iceland), Carnegie Kids @ Suntory Hall (Tokyo), National Center for the Performing Arts (Mumbai), Programa de Educación Musical Fomento Cultural Banamex & Carnegie Hall (Mexico), the Performing Arts Center at SUNY Purchase, and the Chelsea Music Festival, Metropolitan Museum of Art, and National Sawdust in NYC. Decoda was founded in 2012 by alumni of Ensemble Connect, a two-year fellowship program of Carnegie Hall, The Juilliard School, and the Weill Institute in partnership with the NYC Department of Education. To learn more, visit decodamusic.org. Joining Lyrica for this performance will be Decoda members Catherine Gregory, flute, Moran Katz, clarinet, and Yves Dharamraj, cello. The Tesla Quartet was formed at The Juilliard School in 2008 and quickly established itself as one of the most promising young ensembles in New York, winning Second Prize at the J.C. Arriaga Chamber Music Competition only a few months after its inception. From 2009 to 2012 the quartet held a fellowship as the Graduate String Quartet-in-Residence at the University of Colorado-Boulder, where they studied with the world-renowned Takács Quartet. They have also held fellowships at the Norfolk Chamber Music Festival and the Aspen Music Festival’s Center for Advanced Quartet Studies. The Tesla Quartet is Ross Snyder (violin), Michelle Lie (violin), Edwin Kaplan (viola), and Serafim Smigelskiy (cello). Timo Andres (b. 1985, Palo Alto, CA) is a composer and pianist who grew up in rural Connecticut and lives in Brooklyn, NY. A Nonesuch Records artist, he has received wide acclaim for an album of orchestral works, Home Stretch, and for his debut album, Shy and Mighty. Notable works include a commission for the Boston Symphony with Andris Nelsons; a string quartet for the Takács Quartet, commissioned by Carnegie Hall and the Shriver Hall Concert Series; a two-piano concerto commissioned by the Britten Sinfonia and premiered at the Barbican with Andres and pianist David Kaplan; and The Blind Banister, a piano concerto for Jonathan Biss, co-commissioned by the Saint Paul Chamber Orchestra with Caramoor Center for Music and the Arts, and the Orchestra of St. Luke’s and a 2016 Pulitzer Prize Finalist. As a pianist, Timo Andres performed the world premiere of a piano concerto by Ingram Marshall – written specifically for him – with John Adams and the LA Phil, and appeared at the National Arts Centre in Ottawa, where he received the City of Toronto Glenn Gould Protégé Prize; Philip Glass selected Andres as the recipient of this award. He has performed solo recitals for Lincoln Center, Wigmore Hall, San Francisco Performances, the Phillips Collection, (le) Poisson Rouge, National Sawdust; and has collaborated with the Gabriel Kahane, Nadia Sirota, the Kronos Quartet, the Los Angeles Dance Project, John Adams, the LA Phil, and others. Recent and upcoming commissions include a concerto for cellist Inbal Segev and Metropolis Ensemble, performed at the Metropolitan Museum of Art in New York; an original work for the Calder Quartet through the LA Phil; an orchestral arrangement for Sufjan Stevens and the New York City Ballet; and a major work for the Orchester Cottbus Staatstheater. Andres earned both his bachelor’s and master’s degrees from the Yale School of Music. 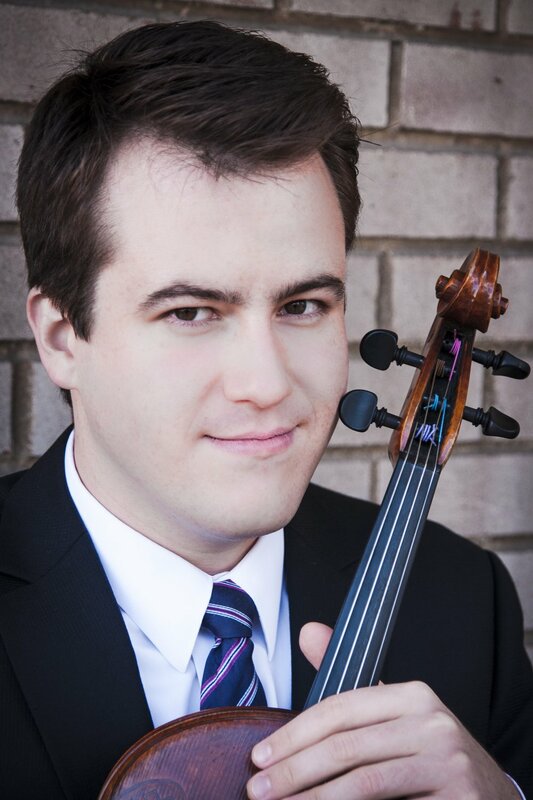 Violist William Frampton has been praised by critics for his “impressive” performances (The New York Times) and “a glowing amber tone” (The Boston Globe). Since his New York recital debut in 2009 at Carnegie Hall’s Weill Recital Hall, William has enjoyed a career of diverse performances around the world as a chamber musician, soloist, orchestral player, and teacher. Recent highlights include over 100 performances with a string quartet led by Midori Goto in tours of Asia and North America, numerous appearances as guest principal viola with the American Symphony Orchestra, appearances as guest artist with the Johannes Quartet, and world premieres of chamber music by J. Mark Stambaugh and a concerto by Peter Homans. William is the Artistic Director of Music at Bunker Hill, a chamber music series in Southern New Jersey he co-founded in 2008 that brings five professional chamber music performances to Gloucester County, New Jersey every year. The community built as a result of Music Bunker Hill has brought regular collaborations with schools, libraries, orchestras, and civic organizations, contributing to the cultural life of Southern New Jersey. William has performed at festivals including Bard Music Festival, Bard Summerscape, Verbier, and IMS Prussia Cove, and as soloist with conductors Joseph Silverstein and David Hoose. He holds degrees from New England Conservatory and the Juilliard School, and studied with Kim Kashkashian, Samuel Rhodes, Choong-Jin Chang, and Byrnina Socolofsky. William teaches viola and chamber music at Queens College, CUNY. Hailed by the Los Angeles Times as “representing the young, up-and-coming generation,” and a “superb cellist with a large, expressive, singing tone, passionate musicianship, and magnificent playing” by theJournal Tribune, Armenian cellist Ani Kalayjian enjoys a prolific career as a soloist, recitalist, chamber musician, educator, and musical ambassador that has taken her to Japan, Australia, Canada, the Middle East, and throughout Europe and the United States. Ani’s recent engagements have included tours with the St. Paul Chamber Orchestra around the U.S. at Ordway Hall in St. Paul, Dartmouth University, the 92nd St. Y in NY, and in Rome, Bologna, Siena, Berlin and Vienna. 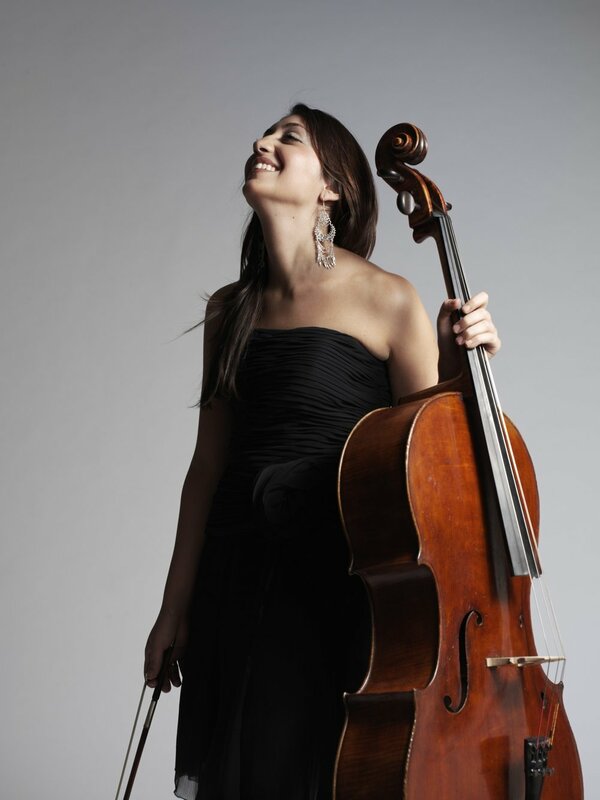 She made several trips to Lebanon serving as principal cellist of the Lebanese Philharmonic for multiple concerts given at the American University of Beirut as well as solo concerts at Haigazian University. During her time in Lebanon, Ani gave outreach performances to underserved communities at St. Jude's Children's Hospital, Insan School for Iraqi & Syrian refugee children, Byblos Birds’ Nest Armenian orphanage, Karageusian Foundation, and in the Syrian refugee camps. Upcoming performances include solo & chamber music concerts in Los Angeles at La Sierra University with members of the LA Philharmonic, the Bartow-Pell Mansion, Saugerties ProMusica, Pleasantville Music Society, Nippon Club, Music at Montauk and Finger Lake Chamber Music Festivals in NY, and Sebago-Long Lake Chamber Music Festivals in Maine and upcoming tours to the Middle East. Ani received an M.A. with Distinction from the Royal Northern College of Music in England as a student of Ralph Kirshbaum and a B.A. from the Mannes College of Music as a student of Timothy Eddy. A passionate music educator, Ani is the head of the Cello department at the Elisabeth Morrow School. Pianist David Kaplan has been called “excellent and adventurous” (NYTimes), and praised for “grace and fire” at the keyboard (Boston Globe). He has appeared as soloist with numerous orchestras, including the Britten Sinfonia at London’s Barbican Centre, and this season, makes his concerto debut in Berlin’s Philharmonie. A creative recitalist, he has appeared at the Ravinia Festival, Washington’s National Gallery, Strathmore in Baltimore, and Bargemusic. Kaplan’s New Dances of the League of David, mixing Schumann with 16 new works, was cited in the “Best Classical Music of 2015” by The New York Times. Kaplan has collaborated with the Attacca, Ariel, Enso, Hausman, and Tesla String Quartets, and is a core member of Decoda, the Affiliate Ensemble of Carnegie Hall. He has performed at the Bard, Seattle Chamber Music, Mostly Mozart, and Chamber Music Northwest festivals, and is an alumnus of Tanglewood, Ravinia-Steans Institute, and the Perlman Music Program. Kaplan has recorded for Naxos, as well as with Timo Andres in the acclaimed disc, Shy and Mighty (2010), for Nonesuch. Passionate about teaching, Kaplan serves as a visiting Lecturer at UCLA Herb Alpert School of Music from 2016-20, and at Lawrence University in Wisconsin for the winter of 2018. Kaplan’s distinguished mentors over the years include the late Claude Frank, Walter Ponce, Richard Goode, and Emanuel Ax. With a Fulbright Fellowship, he studied conducting at the Universität der Künste Berlin with Lutz Köhler, and received his DMA from Yale University in 2014. David is proud to be a Yamaha Artist. Korean-American cellist Jia Kim, recipient of the prestigious 2017 career grant from the Leonore Annenberg Fellowship Fund for the Performing and Visual Arts, leads a dynamic musical life as a performer, educator, and a passionate advocate for the Arts. She has appeared on stages across the United States, South America, Europe, Asia and the Middle East with performances broadcasted on WQXR, PBS, KMZT Classical, and acclaimed by the New York Times. As an alum of the Perlman Music Program, she joined Itzhak Perlman on a chamber music tour across Toronto, Mexico City, Virginia Beach, Miami and New York City. Ms. Kim has been invited as Visiting Artist at the University of Hawaii, American Academy of Jordan, College of William and Mary, Grand Valley State University, and was a Tone Judge for the Violin Society of America's 2016 International Competition. Currently she serves as faculty at New York Youth Symphony's Chamber Music Program, The Brearley School, and International Music Sessions, a nonprofit organization that brings students from conflict areas around the world to bridge the gap between cultures through the universal language of music. As Artistic Director of Central Chamber Series in NYC and Spruce Peak Chamber Music Society in Stowe, VT, she is committed to present Chamber Music to a wider audience, both through education and performance. Ms.Kim is evermore grateful to her mentors and teachers Ronald Leonard, Itzhak & Toby Perlman, and to Joel Krosnick, whom she studied with at the Juilliard School for a Bachelor and Master Degree in Music. Ms.Kim performs on a Testore cello made in 1748. 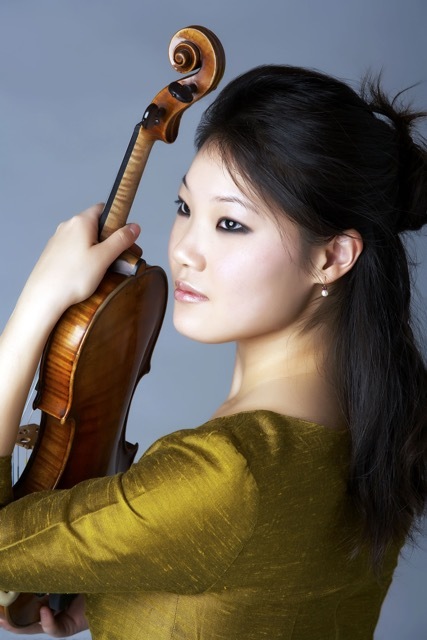 Violinist Rachel Lee Priday (PRY-day), acclaimed for her beauty of tone, riveting stage presence, and “irresistible panache” (Chicago Tribune), has appeared as soloist with major international orchestras, including the Chicago, St. Louis, Houston, Seattle, and National Symphony Orchestras, the Boston Pops, and the Berlin Staatskapelle. Critics have praised her “rich, mellifluous sound,” “dazzling, forceful technique,” and “silvery fluidity.” Combining a fierce intelligence with an imaginative curiosity, her wide-ranging repertoire and eclectic programming reflect a deep fascination with literary and cultural narratives, as an artist who seeks contemporary resonances with the masterworks of the past. Recent and upcoming highlights include concerto engagements with the Pacific Symphony, Stamford Symphony, Greenville Symphony, and re-engagements with the Buffalo Philharmonic, where she performed with conductors JoAnn Falletta and Leon Botstein; recitals at the Sarasota Opera House, University of Cambridge and Barber Concert Series in Birmingham, UK, a 13-concert concerto and recital tour of South Africa, shows at Joe’s Pub and BAM in NYC, and a three-city tour of China, including a performance at the Beijing Modern Music Festival. An active commissioner of new music, she has premiered works by composers including Matthew Aucoin and Pulitzer Prize Finalist Christopher Cerrone, and in 2019 will premiere both a Violin Concerto for mixed professional and non-professional orchestra by Scott Wollschleger and a new solo violin work by Timothy Andres. Rachel’s frequent recital appearances have brought her to such distinguished venues as the Mostly Mozart Festival at Avery Fisher Hall, the Kansas City Harriman-Jewell Series, Ravinia’s “Rising Stars” Series, the Musee du Louvre, the Verbier Festival, and the Mecklenburg-Vorpommern Festival in German. A graduate of Harvard University in English literature, Rachel’s teachers include Dorothy DeLay, Itzhak Perlman, Robert Mann, and Miriam Fried. She performs on a Nicolo Gagliano violin (Naples, 1760), double-purfled with fleurs-de-lis, named Alejandro.